The easiest way to laminate! Cleer Adheer® Quick Cover Laminating Folders are the easiest way to laminate! Quickly turn any 8-1/2” x 11” paper into a professional-looking document. 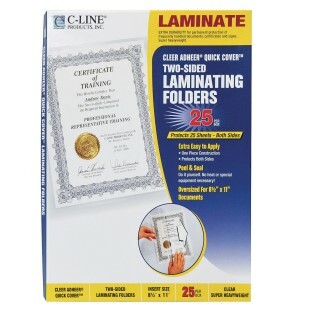 Place document inside folder, remove protective liner, and seal. 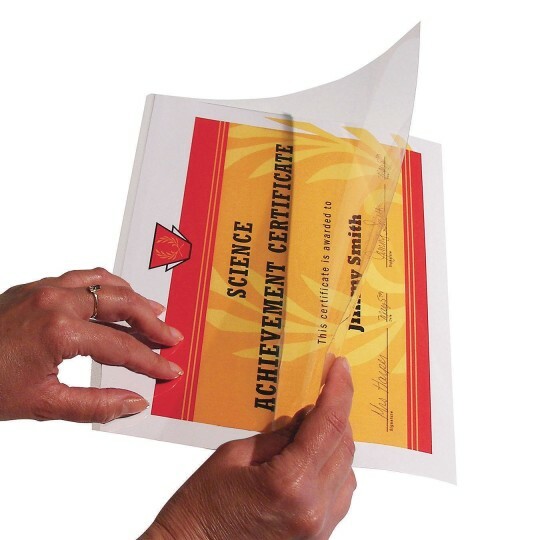 Ideal for preserving artwork, pictures, certificates, instructions, signs… almost anything. No cutting, measuring, heat or special equipment needed.